Implementing software with a Smart labeling system helps architectural woodworker sort out parts jumble. Lutz Woodworks of Wylie, TX, is reaping multiple rewards from its recent investment in Production Coach, a production management software product from RSA Solutions that won an IWF 2018 Challengers Award. Within the first couple of weeks of implementing Production Coach and using its Smart labeling system, Greg Lutz, president of Lutz Woodworks, says he saw noticeable gains in operational efficiency, from component manufacturing and assembly, through shipping and job-site delivery. Those improvements became even more pronounced in the weeks and months that followed. “I’d say products are moving maybe 30 percent quicker through the shop because of Production Coach’s ability to organize our part production and cabinet tracking,” Lutz says. “We are building more in less time and fewer delays. 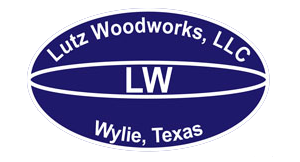 Lutz Woodworks was incorporated in 1994 and is owned and operated by Vickie and Greg Lutz. The company is registered as a woman-owned business. Lutz Woodworks’ primary focus is manufacturing laminate case goods for schools, healthcare facilities and other institutional clients. The company employs about 30 people including product designers, office and shop personnel, as well as installers. Sales surpassed $3 million in 2018. During an Architectural Woodwork Institute (AWI) Texas Chapter meeting dinner last year, Lutz broke bread and talked shop with Roger Shaw of RSA Solutions. Asked by Shaw to identify his biggest production pain, Lutz pointed to the tedious and time-consuming task of sifting through stacks of parts prior to assembly, as well as tracking completed and shipped items. Lutz Woodworks’ engineering department uses Microvellum software to design projects and generate machine code for parts production. “The hand-off of data from Microvellum to Production Coach is extremely easy and seamless,” Lutz says. “We might have seven parts for one cabinet and nine parts for the next. Production Coach knows how many parts are in each cabinet and how many cabinets are in each run simply because Production Coach is in-synch with Microvellum on the front end. From the data dump, Production Coach knows exactly the number of parts, how many cabinets and their sub-assemblies for each run. Production Coach captures this and other pertinent production information in a Smart bar code label that is printed and affixed to each part after it is either cut-to-size on an SCM panel saw and sent to a Weeke machining center, or nested on a Komo CNC router. “The labeled parts are laid flat and stacked like a ream of paper on a cart,” Lutz says. “Then the cart is rolled to our Biesse edgebander. Next, the stacks of edgebanded parts are moved to a Biesse drill and dowel insertion machine. The operator scans the part’s bar code, which ensures each part is doweled as determined in engineering; the Weeke machining center operates from the same bar-coded label. Once again, each part is stacked one on top of the other. Up to this stage, Lutz says it doesn’t matter which part belongs to which cabinet. But that soon becomes a critical factor when the stacks of fully machined parts are carted to the assembly department. This is where Production Coach , in conjunction with double-decked carts built by Lutz Woodworks, creates order from chaos. The carts have two rows of eight vertical bins. Each bin is designated to hold all of the wood components required to construct a specific cabinet. Before implementing Production Coach , an employee would have to physically check off each cabinet on a notepad that numbered multiple pages before it was loaded onto a truck for delivery to the jobsite. “We typically have multiple runs of cabinets being loaded onto trucks for any given job. Instead of an employee with a checklist, we now have an employee with a scanner. As a cabinet is rolled to the truck, each item is scanned and Production Coach knows which particular cabinet or item was loaded on which specific truck, on what day and at what time. It’s not only a tremendous time-saver, it is very accurate and helps to eliminate the chance for human error.” When the cabinets reach the jobsite, the bar codes are scanned as each item is offloaded to verify their arrival; again, with a date and time stamp recorded. At the International Woodworking Fair in Atlanta last August, RSA Solutions won a Challengers Award for Production Coach. The award recognized the software as an innovative technology that will advance the woodworking industry. Lutz Woodworks is a member of the Architectural Woodwork Institute’s (AWI) Quality Certification Program. Lutz served as president of the AWI in 2016 and is current board member of the Texas Chapter.